The Coralville Police Department is asking for assistance in identifying the male pictured in the photos below. He is wanted for questioning regarding a robbery from Wendy’s, 2804 Commerce Dr. on 12/29/2015 (C15004563). A lone black male entered the restaurant, pointed a handgun at employees before leaving with an undisclosed amount of money. 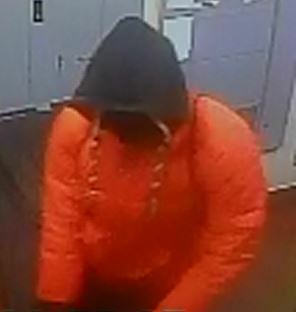 The male is 30-40 years old, medium build, wearing black pants, an orange or red North Face coat, black gloves and boots, and wearing a dark colored mask. 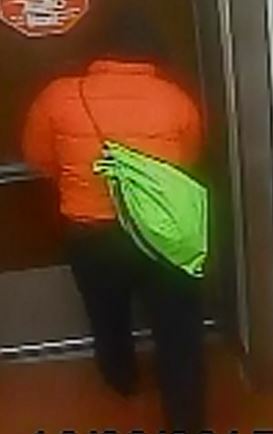 The male was carrying a neon green draw string bag.